For the past three years, the program, run by the Canadian Mental Health Association (CMHA), has helped clients get through mental health and addiction crises by offering a 24-hour counselling hotline and in-person house calls. For days, Timothy Fulton called a wooded area on the side of Dundas Street West home. Down a muddy path just off the Mississauga road, he kept a small tent, bits of food and a phone. During the day, he found a place to download movies, which kept him company. "I isolate myself. I'm not a bad person," he said. "I just want to get out of here." Struggles with housing, his finances and his family led Fulton to the spot. He also battles with anxiety and depression. "I just fell off the cliff, you know? It wasn't slow. It was straight down." But ever since Fulton found 24.7 Crisis Support Peel Dufferin, he knew he had a place to turn to for help. 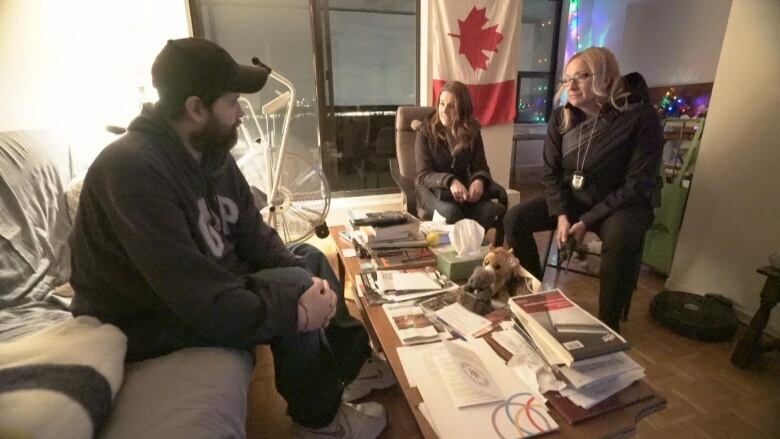 For the past three years, the program, run by the Peel division of the Canadian Mental Health Association (CMHA), has helped clients like Fulton get through mental health and addiction crises by offering a 24-hour counselling hotline and in-person house calls. The mobile crisis units, which typically include a support worker and a specially-trained police officer, will go wherever the client feels comfortable, whether it be their home, a coffee shop or even a tent. Whereas most mental health crisis units in the area are run by police, the program is unique because it's run by the CMHA with an added police component. Clients are encouraged to call the crisis hotline rather than go through 911, unless it's a life-threatening emergency. Charlene Heyer, the program's manager, says the approach diverts thousands of unnecessary 911 calls each year. "Sometimes it's around just providing a few minutes of support," she said. The program also diverts thousands of emergency room visits, simply by providing another place for those in crisis to turn. 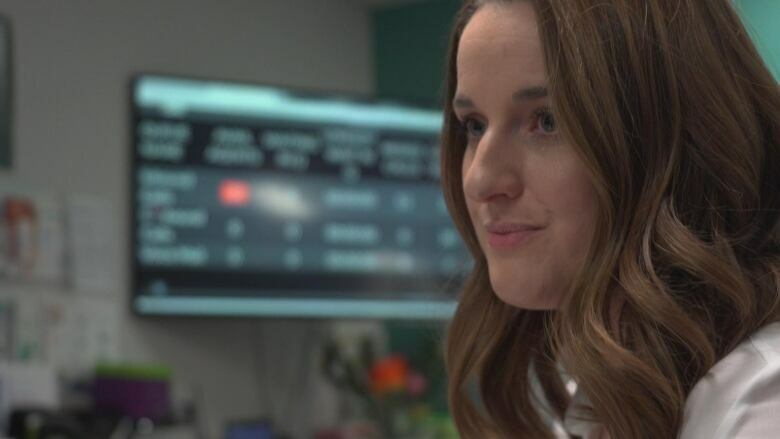 Workers also focus on connecting clients with community supports, such as doctors, treatment programs, and in Fulton's case, housing, to try to prevent future emergency room visits. The service is all the more important this time of year, when holiday stress creates an added hurdle for those struggling with mental illness. With the weather getting colder, Fulton recently called the hotline, as he's done several times before, to share his concerns about his living situation. "Whenever I'm feeling down and out and everything, I give them a call," he said. He had a few sweaters to keep warm, but his running shoes had holes in them and he didn't have much to eat. The service dispatched a team to deliver boots, bring him gift cards for food and begin working on finding him a home. Crisis support worker Sarah Roney and Const. Grace Kempers followed up days later, bringing him shampoo, soap and a toothbrush. "We're meeting people when they're in their perhaps most vulnerable state," Roney said. "They feel as though they don't know who else to reach out to." The duo spent time discussing Fulton's medications, asking about his family and making sure he was connected to a doctor. Although the longer interactions mean they only get to about five clients a day, Kempers said the fulsome conversations help to build trust. She also said she's able to build better relationships with clients because she isn't in uniform. "I think a lot of people that have mental health issues ... have had an interaction with uniformed officers and that can intimidate them and they don't maybe feel as comfortable opening up," she said. Kempers wears a black jacket and pants, her belt and badge the only indicators she's a police officer. A black, unmarked car sits in a nearby parking lot. Before leaving, Roney and Kempers told Fulton to keep calling the 24-hour helpline when he got lonely. He's now found secure housing, but continues to keep in touch. "It's just … so overwhelming that there's people out there that don't know that you have concerns and can pull you through some emotional issues," Fulton said. The Peel program is made up of 20 full-time crisis workers, four Peel Regional Police officers and two OPP officers who both man the 24.7 phone lines and conduct the in-person visits, from 11 a.m. to 11 p.m., each day. Last year alone, the service had close to 21,000 client interactions. The hotline allows the team to triage calls, providing counselling over the phone first. If they decide it's warranted, they'll send the mobile team, which could be either two support workers or one support worker and an officer depending on the risk associated with the situation. Halton's program is similar to Peel's, but mental health crisis units in Toronto, Durham and York run through their police divisions, and most of their calls must go through 911 first. "We have full control over who we're going out to see," Heyer said. "We are always trying to be proactive." Heyer said by creating the separate line and encouraging clients to use it, the program will divert close to 3,000 911 calls this year. With the added support from the mobile units, she said they'll also divert close to 5,000 unnecessary trips to the emergency department. "We're trying to get out there and we're trying to build support … giving them the coping skills, connecting them to the services that they need," Heyer said. Clare Bruce Farrow used to make those emergency department trips, mostly because he didn't know where else to turn. He's schizoaffective, which means he experiences symptoms of schizophrenia and of a mood disorder — in his case, bipolar disorder. Before finding the helpline, he said he occasionally found himself at the hospital. "Sometimes the medication doesn't do its job and I feel like talking to someone about it," he said. He recently had his first in-home visit, where Roney and Kempers found he'd connected to multiple services in the community. He's also used the helpline more than a dozen times, which they encouraged him to keep doing. "Sometimes I can't get to sleep, and I call them up," he said. "It meant everything. [It] gave me a chance to talk over nothing in particular, which feels good." Andrew Loku inquest calls for 24-hour crisis intervention teams, but how do they work?